On your Apple device, open up “Outlook,” tap the "Menu" icon (≡) and tap the "Gear" icon in the lower left corner. 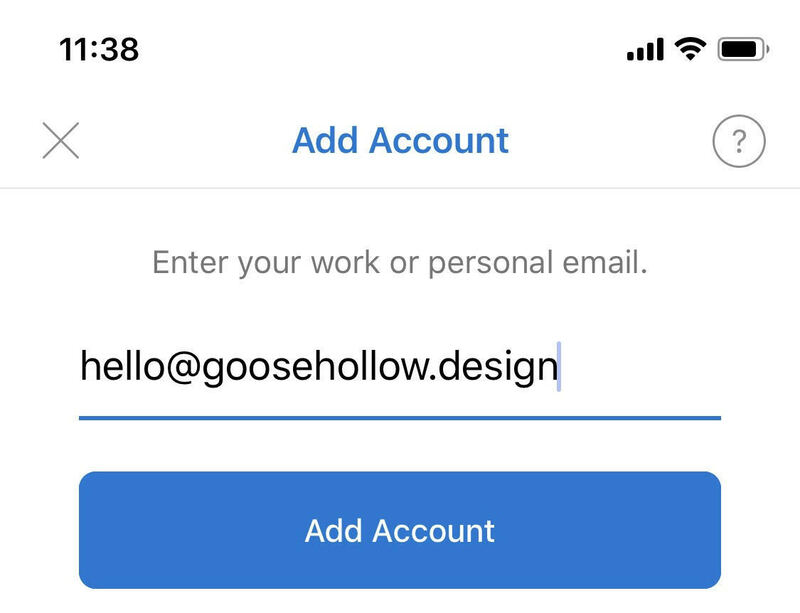 Tap "Add Account" and then "Add Email Account" in the pop-up that appears. 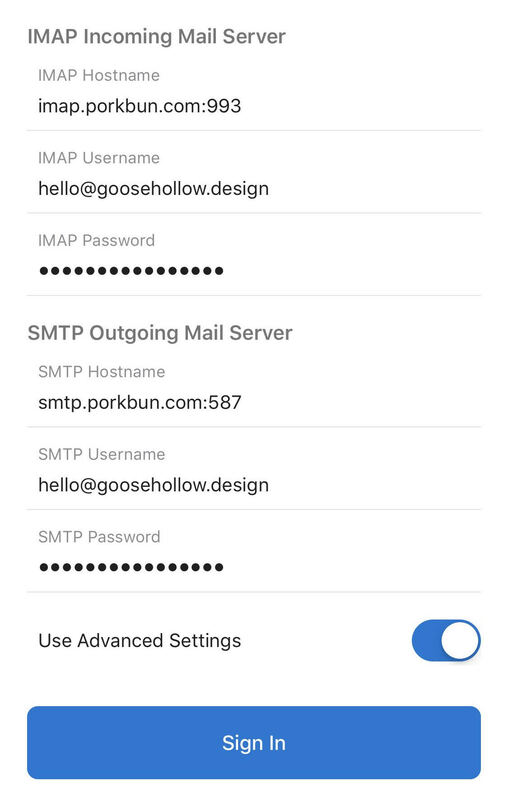 On the "Add Account" screen, enter your Porkbun email address and tap "Add Account. Outlook will try to setup an Exchange account. Tap "Not Exchange" and "Change Account Provider" in the pop-up to continue. 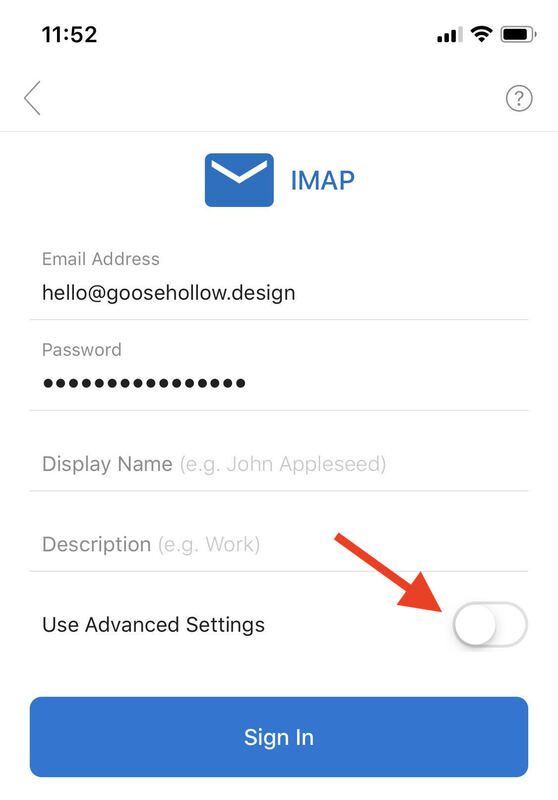 Enter your Email Address and Password and tap the "Use Advanced Settings" toggle to display additional options. IMAP Username is your full email address (not just the part before the @ symbol). IMAP Password should already be filled in. If it's not, specify the password from the previous step. SMTP Username is again your full email address (not just the part before the @ symbol). SMTP Password should already be filled in. If it's not, specify the same password as before. That's it! 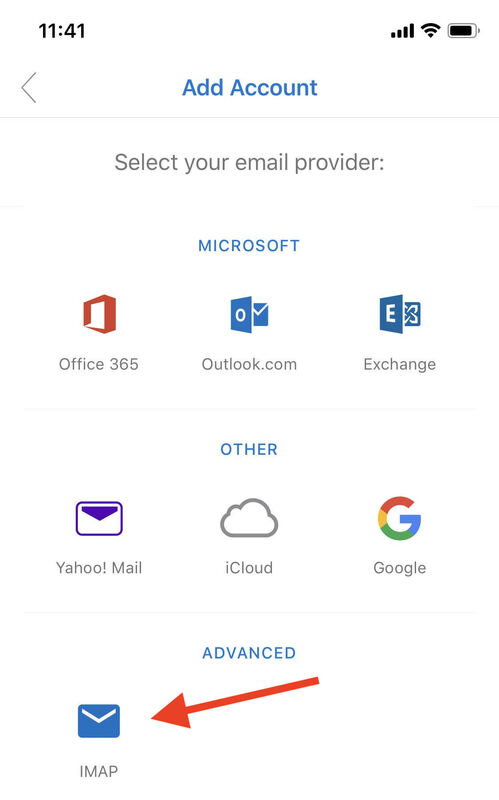 Microsoft Outlook for iOS is now configured to send and receive as your custom email address.